You are here: Home / Discover / Inspiration / This Week In Tabletop Inspiration: La Cafette in Williamsburg! This Week In Tabletop Inspiration: La Cafette in Williamsburg! Close your eyes and picture a classic French brasserie. Now turn up the volume. 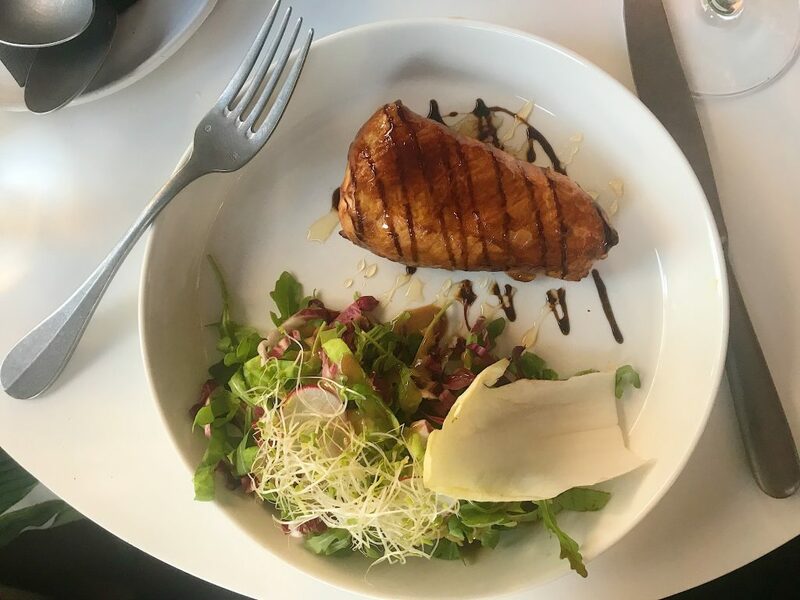 Welcome to La Cafette, a cool and relaxed rotisserie that draws inspiration from the past, but in a very contemporary way. The optic white of Figgjo’s TING dinnerware provides a modern canvas. 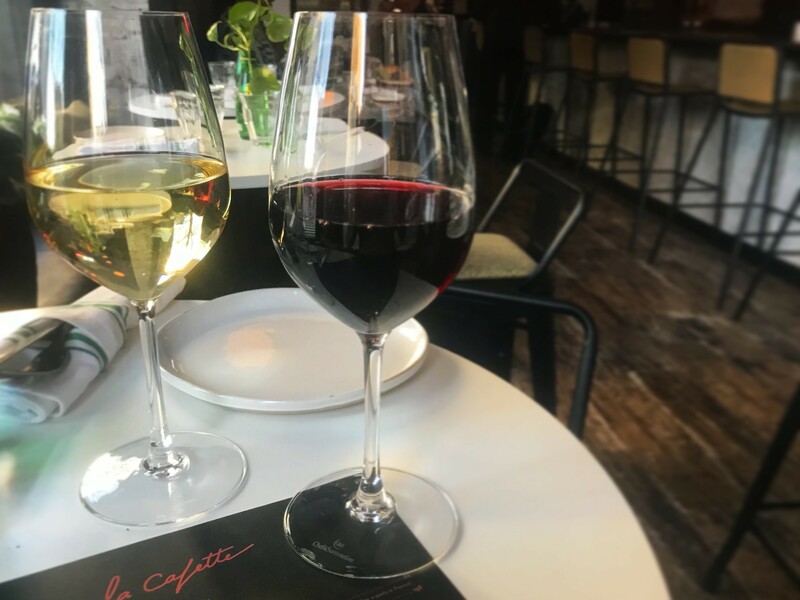 It creates a dramatic contrast against the rusticity of FOH’s Artefact dinnerware and Cardinal’s Renzo Patina flatware, while still showing off La Cafette’s cuisine. Of course, a Sequence universal wine glass is always at the ready too. This glass is great for white and red wines alike and is stocked for next day delivery. The cuisine is pure French. Poulet rôti is served directly from a Rotisol rotissoire on display in the dining room, direct from France by way of M. Tucker. A couple of other imports grace La Cafette’s tables too. Laguiole speaks for itself, but our exclusive Paris Blanc handle updates this essential steak knife. La Cafette shows it off alongside their signature burger. 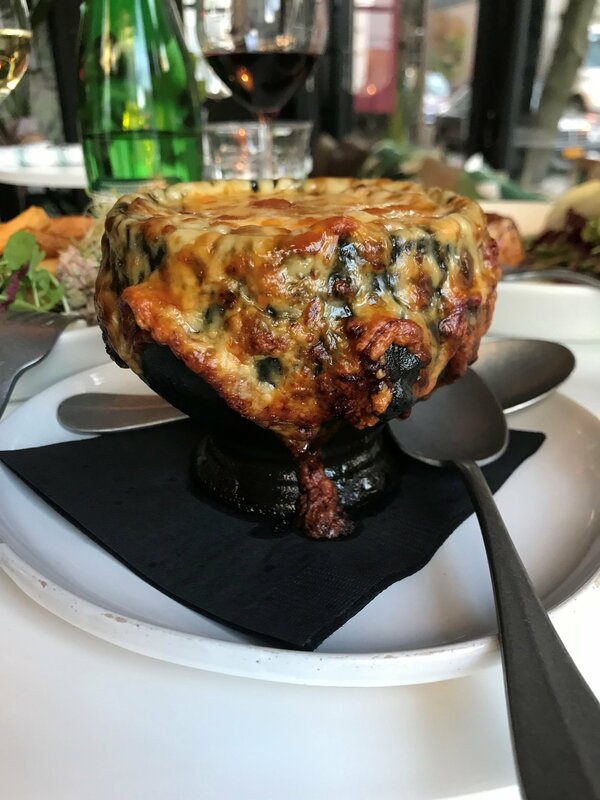 Onion soup comes in a lion handled bowl, as it absolutely should, but with another modern twist. La Cafette serve theirs in our favorite interpretation of the Lyonnais tureen with Revol’s modern matte black version. This selection embodies what La Cafette has created – an old classic made brand new. The space balances warmth, style, and honest French comfort food…with just a little help from the team behind LMT. Opening a new restaurant? Let us help you design your space! Email us at lmt@singerequipment.com for a free consultation today. https://lmtprovisions.com/wp-content/uploads/2018/04/la-cafette-ting-baked-brie-lmt-1024x768.jpg 768 1024 LMTprovisions http://lmtprovisions.com/wp-content/uploads/2018/11/LMT-Email-SM2-002-1.png LMTprovisions2018-04-12 10:00:002018-12-14 15:33:27This Week In Tabletop Inspiration: La Cafette in Williamsburg! Celebrating Our Roots: LMT Introduces An Exclusive Distribution Partnership... This Week In Tabletop Inspiration: Tanzy Restaurant!